It seems like Facebook is still the king of social media. The addiction of Facebook triggered into the mind of the people so much that despite of mega-scandal the tech giant is ruling among the people in one way or the other that is somewhat depicted in Pew study. 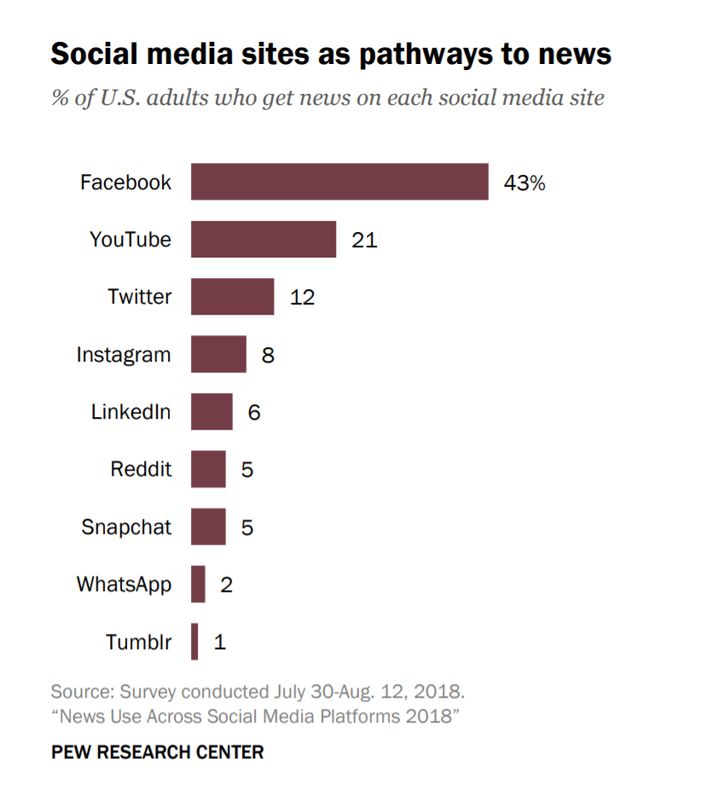 According to the Pew Research Center, almost 43% of the adults are using Facebook as a source of news information whereas YouTube is sharing 21% of the news and Twitter 12%. However, the results show, still people consider Facebook as a top source of getting news despite the fake news controversies. This indicates Facebook still maintain the trust bonds among the people. But statistic shows that almost 20% of the adults often refers social media platform for news and 27% of adults do sometimes, both remained constant as compared to the previous year. 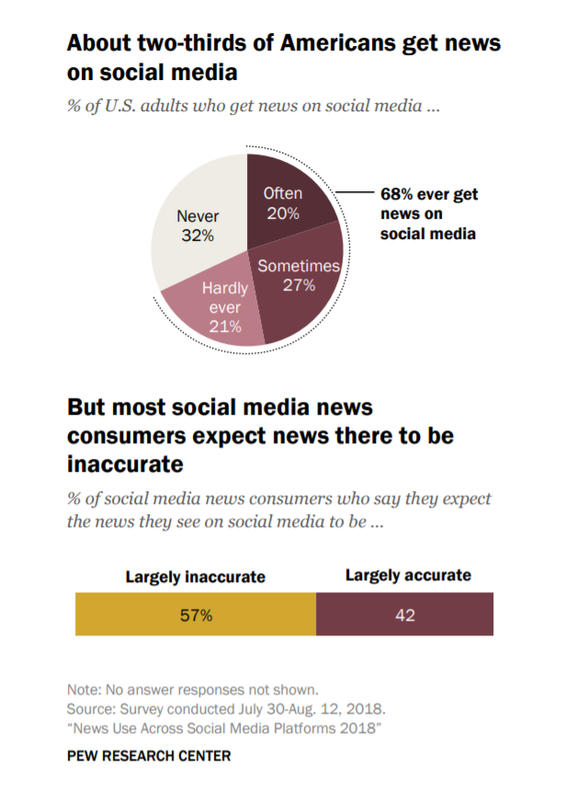 It might appear that most of the people use social media as a medium for getting news as it is the most convenient way of getting information but still the new users take news most of the time as inaccurate.